I saw this on Facebook, posted by my friend, Julie Grant, who is also an occupational therapist who I went to school with and uses a wheelchair after a spinal cord injury (long ago). According to the post this pic was taken in Allegan, MI (population 5k) on the Kalamazoo River. I found the website here. I’ve used a different dock they make, one for parking your sit down jet ski at the dock, and it works well and my parents have had it for years. I’d love to see this in some places around the Seattle area! 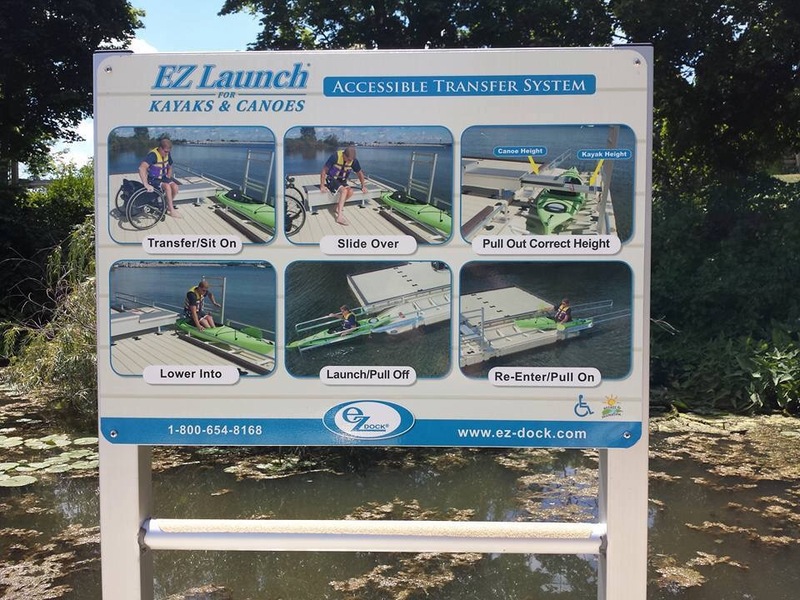 There are so many wheelchair users, older adults, and kids who have a hard time with docks but love getting on the water (or would if they could). The only problem, of course, is I couldn’t find prices… Not usually a good sign. But seems worth it to increase access! Especially since that little town figured out how to get the funds.